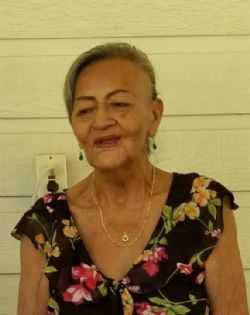 Galdina Torres Doyle born April 20, 1940 in Michoacán Mexico, went to be with her Lord on January 22, 2019 in Conroe, Texas at the age of 78. Ms. Doyle is survived by her daughter Aurora Atchley; grandchildren, Sheri, Cole and Alexis Atchley; great-grandchildren Annabelle Atchley. She is preceded in death by her husband, Robert Gray Doyle. Galdina attended St. Joseph Catholic Church, volunteered at the Polk County SPCA Resale Shop and she loved gardening. A celebration of Galdina’s life will begin Saturday, February 2, 2019 at 1:00 P.M. at St. Joseph Catholic Church 2590 Hwy 190 W. Livingston, Texas with Father Tarsisius Puling, S.V.D. officiating.